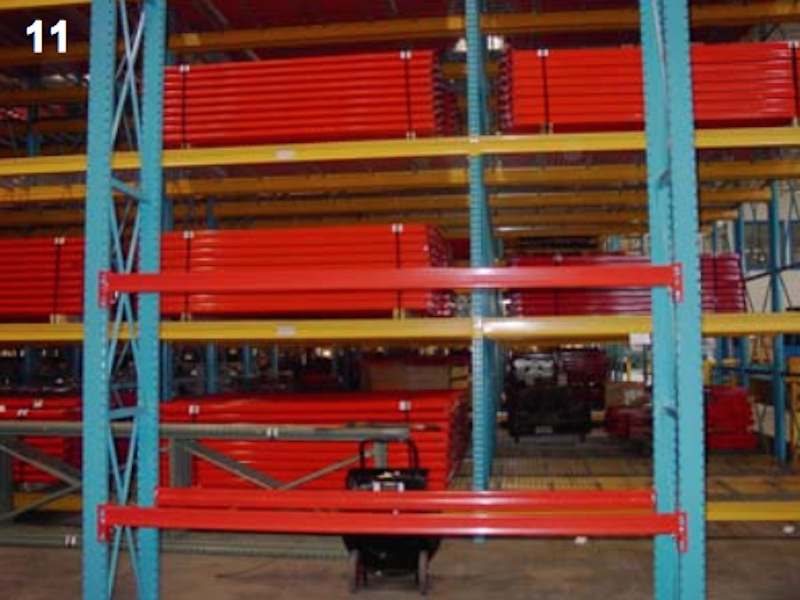 Our Quincy, MI inventory features roll formed teardrop-style pallet racking. Roll formed steel is both light weight and durable. At our Quincy, Michigan location racking is constructed with a sturdy closed-tube column design. Selective teardrop pallet rack is highly adjustable, making it possible to have a wide range of beam level spacing, even within single bays of pallet rack. Teardrop-style pallet rack is named for the punching pattern featured on the upright frames, which resembles the shape of an upside-down teardrop. Teardrop style pallet rack is the most common punching pattern in production across the industry. Additionally, most teardrop pallet rack brands are compatible with one another. The teardrop punch hole itself makes it possible to have a boltless beam to frame connection, eliminating hardware and making installation and adjustment significantly faster. In Quincy, Michigan we also stock Speedrack Style pallet rack, a proprietary design manufactured by Speedrack Global. 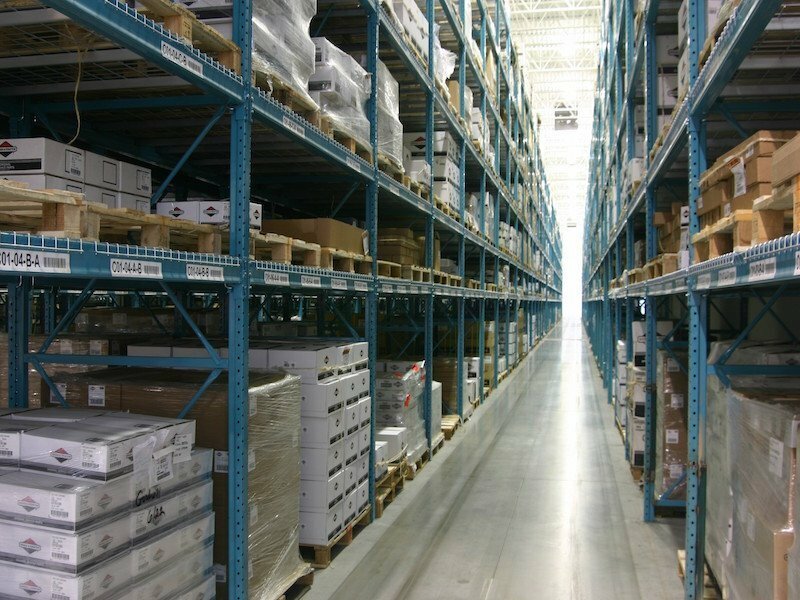 While not as versatile as teardrop pallet rack, Speedrack style racking has a beam-to-frame connection that is among the strongest of any available. Speedrack’s beam-to-frame connection is held together by a hook-grip style pins that provide a connection with a capacity twice as strong as that of standard beams. Pallet rack cross beams are kept fully stocked in standard sizes, including but not limited to beams ranging from 4’ to 12’. Each beam length is available in light, medium and heavy duty capacities, depending upon the strength demands of your project. Pallet rack upright frames are in stock and ready to ship in a variety of standard sizes ranging from 8’ to 20’ or higher. Upright frames shipping from our Quincy, Michigan pallet rack location have the advantage of closed-tube upright columns. This closed-tube design strengthens and stabilizes the upright frame. 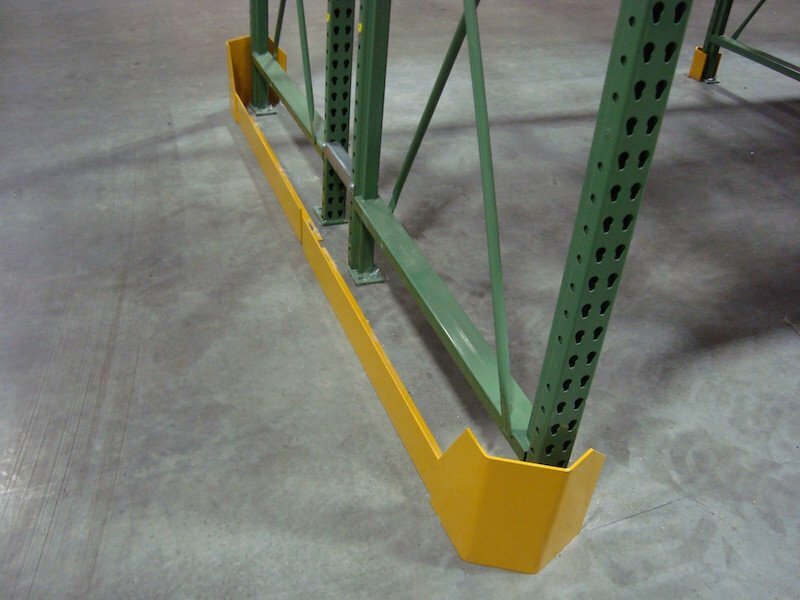 This allows them to be more torque resistant and offering a more long-lasting and reliable pallet rack upright. 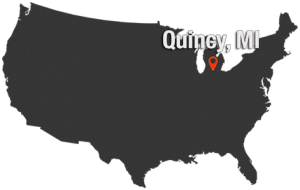 As with all of our in-stock products, quick ship pallet rack from our Quincy, Michigan location means your racking is processed and ready for shipping or customer pickup within hours/days after order placement. If you need your racking now, our in-stock quick ship pallet rack is the option for you. Need Warehouse Layout & Design Help? Massive selection of high-quality used pallet rack in stock. Email or call for a quote today. Copyright © 2019 Pallet Rack Now. All Rights Reserved.